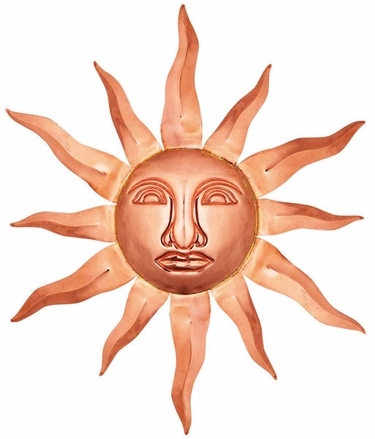 Radiant Copper Sun to add charm and warmth to the interior or exterior of any home and garden. Each piece is individually hand made from 100% copper and available in two sizes to fit any decor. Will develop an attractive patina finish over time, or you can spray it regularly with a clear lacquer like Incralac to maintain the polished look. Simply Beautiful!